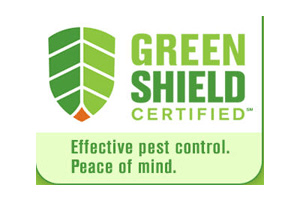 Using the principles of Integrated Pest Management (IPM) there are non-chemical or “mechanical” approaches to pest control, many of which can be easily implemented by the average homeowner. The following is a list of we have compiled that can minimize or even prevent some pests. The Bug Runner is located in New York and New Jersey so our suggestions and “pest highlights” reflect this region’s climate and terrain. Note: You may notice that some of these hints are repeated when discussing different pests, let this emphasize the overall benefits of following these suggestions! *Integrated pest management (IPM) is a systematic approach to managing pests that focuses on long-term prevention or suppression with minimal impact on human health, the environment, and non-target organisms. IPM incorporates all reasonable measures to prevent pest problems by; properly identifying pests, monitoring population dynamics, and utilizing cultural, physical, biological or chemical pest population control methods to reduce pests to acceptable levels. Fosters sound structures and healthy plants. Well maintained homes and lawns better withstand damage from storms, insects, weeds and other pests.